EveningStar Kennels offers exceptional Vizsla puppies for sale to loving, caring, responsible show and pet Homes world-wide! We are located in Southern California, near the city of Temecula, between Los Angeles and San Diego. We have been in our family business for over 30 years and we pride ourselves on providing our clients the best Vizslas around. We are located in the sunny foothills of Southern California, between Los Angeles and San Diego. It is about 23 miles east of Temecula in a small town called Aguanga. We have over 5+ acres for the dogs and puppies to play in and explore. We have worked extensively with OFA, CERF, West Riverside Veterinary Hospital, Dr. Michael and Steve Butchko's DVM, Newport Beach Animal Hospital, Dr. Cohen DVM, Debra Cohen and staff, Dr. Lipton DVM (Opthomologist), along with several other outstanding veterinary clinics in the greater Los Angeles, Orange county, Riverside and San Diego areas, in order to develop and constantly improve our breeding program. 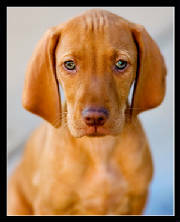 Our Vizslas are among the healthiest and the most well socialized puppies you will find in Southern California. We are a family of 6; my husband, myself and 4 children/young adults. We are always playing with the puppies or just sitting in their areas watching them play. There are also more nieces, nephews and friends that come over to play and socialize with the puppies/dogs. We conveniently offer training here for your puppies before you take them home. The 1st session consist of the puppies learning their name, sit, come, no bite, no jumping, are crate trained to sleep through the night,and to walk on a leash by your side without pulling. The more extensive training takes all of that and implements housebreaking along with socializing in the city. They are taken out to explore the malls, parks, learn to ride in a car quietly, they meet other people and animals. Occasionally they are taken to retirement centers where they are taught to sit quietly while they are being petted. Here they are exposed to walkers, canes and wheelchairs. All our Vizslas descend from National and International Champions with several generations of health clearances. We provide all families with a placement contract (3 year health guarantee), vaccination and worming records, a 5 generation pedigree for the sire and dam, eye, heart and hip clearances (OFA) for both parents. All puppies are sold on a limited registration, unless previous arrangments have been made and a contract has been signed by me. EveningStar Kennels strives to produce healthy, intelligent puppies with excellant temperaments that will make a loving addition to your family. When you buy a Vizsla puppy from EveningStar Kennels, you also take the following assurances with you. Every puppy comes with a 3 year written health guarantee for hips, eyes and heart, and is free from the symptoms of hip dysplasia and have no genetic eye or heart problems at 3 years of age. Each puppy comes with copies of all parents and grandparents pedigrees. We are also committed to support and offer guidance to you and your pup for the life of your dog. Because of our deep love for each of our puppies, we are very careful to place to make certain our puppies are placed in good homes. We recommend that potential buyers have the time, knowledge, ability and resources to provide a loving, clean, safe, happy, healthy and permanent home for their new puppy. Puppies should live inside with the family and be given plenty of training, attention and playtime. If you are looking for a Vizsla, EveningStar Kennels is the place for all of your dog needs. 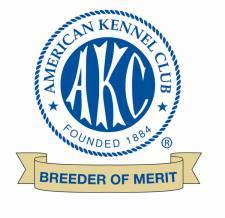 American Kennel Club, Vizsla Club of America, Southern California Vizsla Club, Orange Empire Dog Club, Canadian Kennel Club, International All Breed Canine Association.